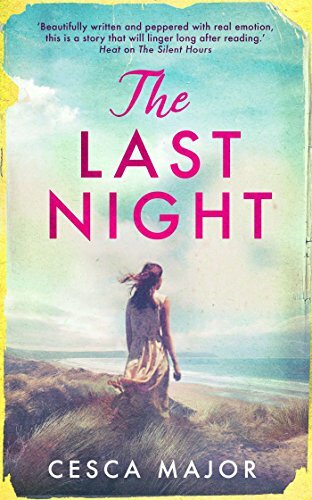 The Last Night is another wonderful captivating read from Cesca Major, whose debut novel The Silent Hours I loved earlier this year (see my review for that here). The Last Night is just the kind of book I love: written from different perspectives, set in different times and with secrets at its heart. From the first few chapters I was caught up in the stories of Abigail and Irina. Irina’s is the contemporary part of the story. She is a furniture restorer and is working on a large bureau. As she begins to restore it, mysterious things begin to happen which she can’t explain. She has a sense of someone watching her, feels chills and hears water dripping where there shouldn’t be any. Irina has scarring on her face caused by an accident when she was younger. The cause of the incident isn’t revealed till much later. Irina cannot talk about it even with those closest to her. The guilt she feels related to the incident has weighed heavily on her mind for years. In the 1950s, Abigail has gone to live with her older sister following the death of their mother. She is married to an respected councillor but it soon becomes clear that he is not as upstanding as he would like to appear. Abigail too feels compelled to keep secrets from her sister, her best friend from home Mary and from Richard, a young local man she is falling in love with. Like The Silent Hours, The Last Night is inspired by a true event. The author writes about this after the end of the book explaining what happened on that night. When it happens in the story, it was very vividly described showing the fear, the bravery and the devastation linked with the event. Since reading I have looked at some pictures from that night and the extent of the destruction is clear. Sorry to be mysterious but you don’t find out what happens until further into the book so you will need to read it yourself to find out! The Last Night is a wonderful story which had me captivated. Both storylines were strong and both central characters were convincing. I was so curious to find out the secrets of the bureau and what the connection between the two stories would be. The sense of other-worldliness surrounded the bureau added to the intrigue. Initially Abigail seems to be the character who your heart goes out to, with Irina seeming more reserved, but by the end as all was disclosed, I felt equally emotional about both women’s experiences. The Last Night is a perfectly paced poignant read, a book to lose yourself in. Great review Joanne. Was a fab read.